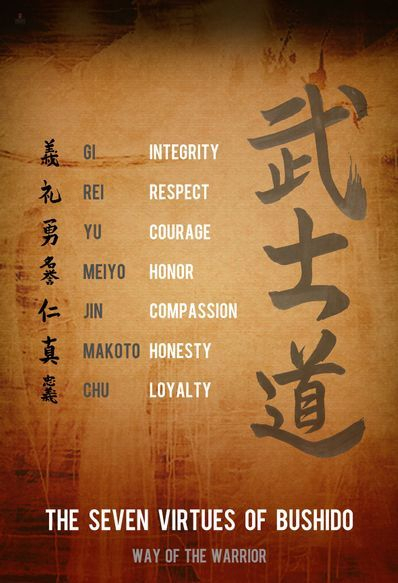 • Always show respect to your instructors, training partners, and fellow human beings. 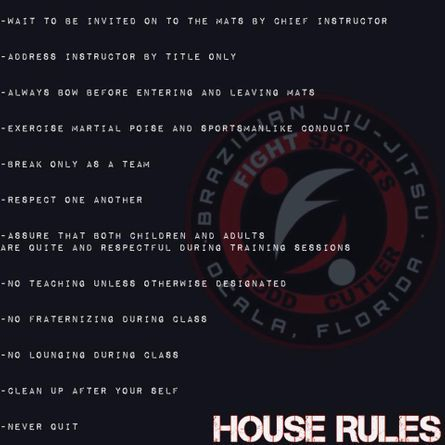 Respect in training means: do not seek to harm fellow students physically (e.g., by cranking a submission harder than necessary to make them tap) or emotionally (i.e., by calling them names or making jokes about hurting them). 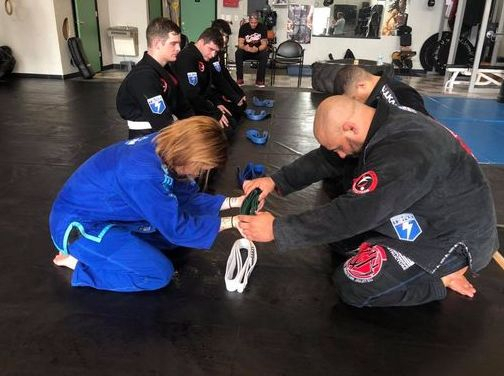 Respect also means that you must train seriously and hard enough for you and your partner to improve his or her skills, conditioning, and fighting spirit. Not giving your best during training detracts from both you and your partner’s experience. • Maintain good hygiene (i.e., shower and brush your teeth regularly). As you can imagine, it is difficult to concentrate on technique when you find your partner’s smells distracting! 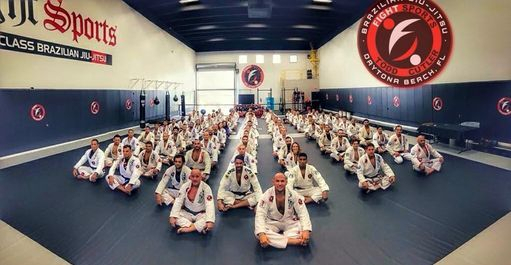 • If the instructor has not changed the task, then continue doing the task he or she has given (i.e., don’t sit around talking because you feel you have done a technique enough times). You can NEVER do a technique too many times!